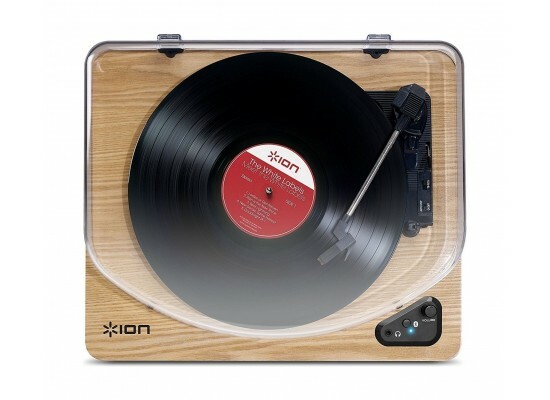 ION Audio's Air LP lets you play your record collection on one of the best sound systems. 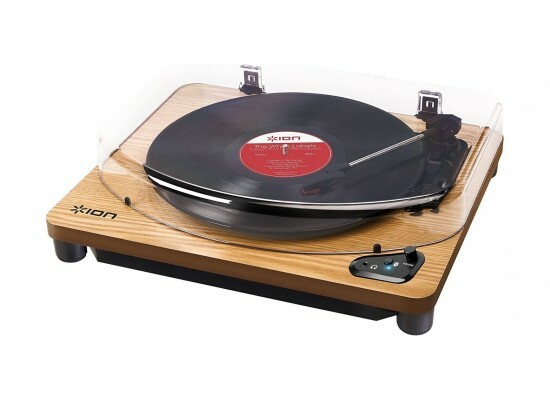 The Air LP is compatible with 33 1⁄3, 45 and 78 RPM records, streaming the sound to any Bluetooth enabled speakers you have in the room. A quiet belt-drive system combines with Auto-Stop for convenient operation. 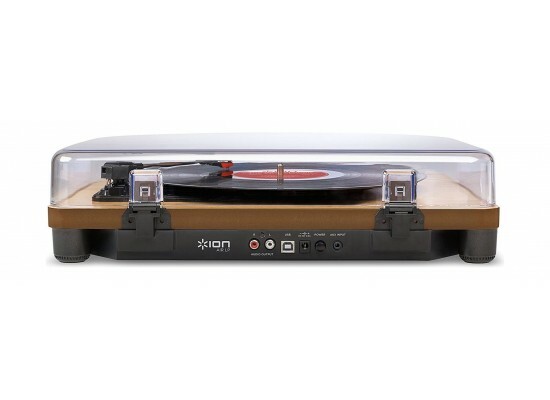 The 1⁄8 inches auxiliary input allows you to connect other non-Bluetooth equipment, like a cassette player, and wirelessly transmit their sound to the speaker as well. 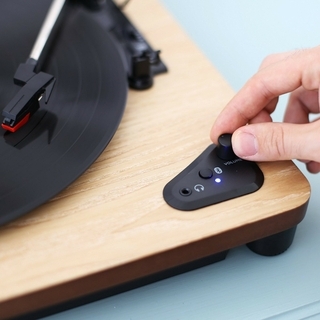 With Air LP, you can send the sound from your records wirelessly to any Bluetooth speaker in the room. It's simple to use and can connect with any Bluetooth-enabled speaker you own. In case you think you might fall asleep while listening to some relaxing tunes, you can turn the Autostop on. This will make the platter stops spinning when it reaches the end of the record. Use the 1/8-inch aux input for other music players like your tape deck or smartphone. RCA outputs connect with your home stereo system for optimum sound quality. 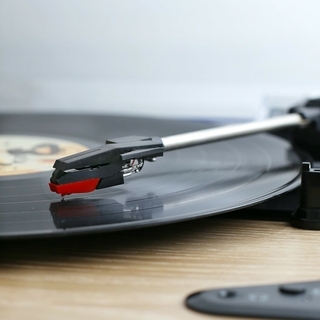 Plug in your headphones to the easily accessible jack on the top of the Air LP. Now you can privately groove to '50s jazz late at night.